Surely everyone knows who Aaron Hadlow is? 5 successive PKRA World Championship titles from 2004-2008; 5 years of building his own kite brand and pushing wake style kiteboarding in new directions; then a knee injury (torn ACL) stopped his return to competition but after finding his feet again and fighting against the new crop of talented kiters he finally reached the top step of the podium at the Germany PKRA in August. 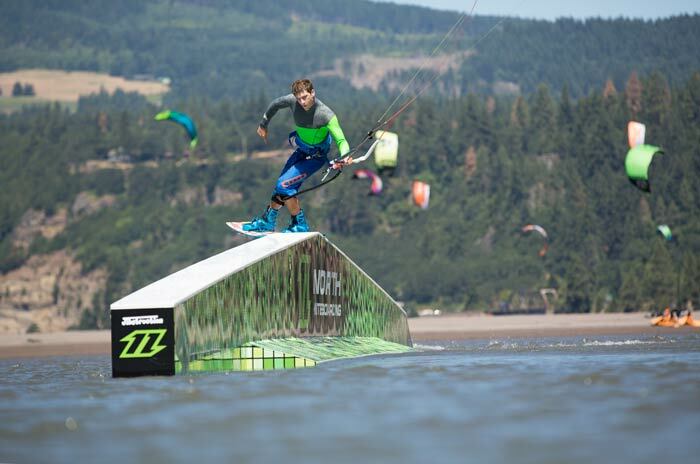 There’s no doubt in many peoples minds that Hadlow, at 25, is probably the most talented professional kiteboarder our sport has seen but with a return to form, a new found hunger for competition and the surprise move to the North Kiteboarding team, what is it that makes this champion continue to push our sport in new directions? Rob: I was going to kick things off by asking why originally you wanted to come back to competition? What made you feel like it was the right thing to do, after, what, four years? Aaron: I guess it was more the fact that I’ve seen the level of other PKRA riders going up whilst I went over to do more of the wake style, rail, side of things. For sure, I was competing and doing the events that they had, but it wasn’t very many and, to be fair, it wasn’t really that challenging compared to the full 10 event season & variety of conditions that you have on the PKRA. And then after the injury, I really felt motivated to kite and at least get my level back up. Before that I was at a high level and if I had went back to competition at that point I would probably have done quite well, but with the injury I was set back so far that I kinda wanted to prove to myself that I could do it again. Also it’s quite a big thing to come back to competition; there’s not many sports where people have done that, made a strong come back and been successful. R: Do you think it had changed a lot? A: The level of riding? R: Yeah, have you seen a big difference in the way the PKRA is structured? A: Yeah I think it has with the way they changed the scoring. Towards the end it didn’t really suit me and that’s kinda why I left. It was too judgmental and debatable. Now with the newer point structure, it was really motivating and can be quite mathematical so I thought it was really quite a cool way of doing it. People still go up and argue that maybe this should have scored more or this trick shouldn’t be like that. But there’s definitely less arguments with the judges and for me personally if I haven’t won the heat I don’t really say much, I’m just like “well what tricks do I need to work on to get a better score and do better next time?”. A lot of the competitors are like that, so it kinda makes for a bit more clarity on what you’ve actually got to go train for and what you’ve got to actually do. R: So if you do lose a heat, do you normally know what you’ve done wrong or do you go and look at the judging sheets and see where you’ve scored lower? A: Whether I’ve won or lost a heat I always go up there; I mean it’s just good to see what you’ve done and how everything is scored. Even if I’ve won a heat the first thing I do is go to the judging tower and get my print out because I want to know how much each trick scored so it’s a reference to go back to. And if something didn’t go your way maybe you would say, later down the line, “well I did this in a previous heat and I’ve been doing this for the last few and how come even though it was the same why is it so much less?”. So you have something to reference back to on how they score tricks. Even if I’ve won a heat the first thing I do is go to the judging tower and get my print out because I want to know how much each trick scored so it’s a reference to go back too. Whilst I’m in a heat I do kind of give myself a score for each trick and if something goes a bit better then I know that I’ve probably got the edge over the other person because I know my previous scores. The more competitions you do, the more you realize what scores what and you can build an overall picture of where you stand in a heat. R: So you’re not just going out for a heat and doing what you think are your best tricks, there is some actual strategy behind it all, a plan to adapt and change from one heat to another? A: Yeah, I mean you go out to get the highest score every time and you do roughly the same tricks but, for instance, say you nail your five best tricks as well as they could possibly be done, then once you know you’ve got through that heat, I’d often experiment with other tricks just to see how it would score. And then something pops up and you’re like whoa the judges are scoring this even higher – maybe it looks more technical or the kite goes lower so you get more points – and maybe then the five tricks that you thought would actually count the best aren’t the five tricks next time. 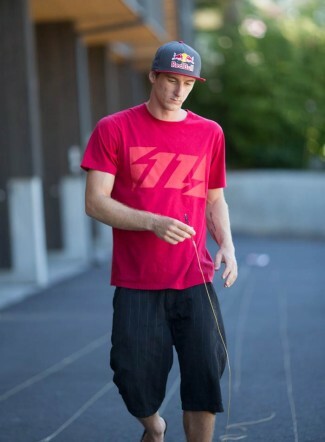 But even though you have your five core tricks you need a few more because every rider loses some tricks sometimes. Sometimes you just can’t land them or the conditions do not allow for it so maybe you have to resort to another high scoring trick, in those conditions. It’s good to have a small repertoire outside just the five you think you would use. R: What have been the biggest challenges for you coming back? What’s been the hardest tricks to try and master – things you weren’t doing in the kicker and slider contests? A: It’s basically general consistency. When I started training for competition again, I could do every trick that the other guys could do, to a point. So I knew what I had to train on over the winter to get up there. But when it comes to consistency on doing it on a fifteen or on a seven, you need it to flow through everything. I think in the past when I was competing I was so good in every condition because I was quite often riding in such different crappy places and I was just on it all the time. Then I took some time off, I only rode in really good places, so I kind of lost that edge,its a different game in choppy water or gusty winds. Then with the injury, it also set me back. At first, when you start riding again you want it to be perfect so you know where you are going to land. You need to build that confidence to be able to take those landings in dodgy conditions and choppy water. So, I think with time it’s kind of been a matter of just getting everything back together. But a trick in particular would probably be toeside related. I do my toeside in an opposite direction to quite a lot of the top guys. So my toeside tricks were Tootsie Rolls or Dum Dums, G-spots or Blind Pete’s and they go real well-off kickers, because of the way you rotate. You can’t really do G-Spots in flat water [the conditions found at most competitions-ed] because the rotation is a different axis. 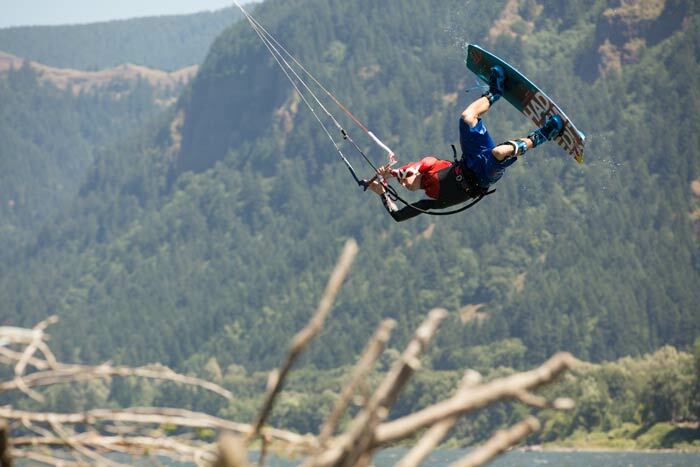 With tootsie rolls, on flat water, your kite has to go up a bit to get a really big air so you can make the trick. 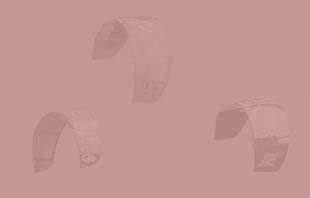 So, they don’t score them as much as the Crow Mobe’s and the Pete Rose’s on the other tack – with those tricks you can get a good pop and still keep your kite quite low in flat water. So, for me, I’ve had to learn how to get a strong pop and big air off my switch toeside edge which has been the hardest challenge. But now that I’ve kind of wrapped that up I get Crow Mobe 5’s in most of my heats. R: They were really high scoring in your last few heats in Germany, weren’t they? A: Actually in Germany some of my heats had three toeside tricks scoring out of the five tricks, because I can do my toeside almost as good both ways now. That’s a little bit of an advantage. Because that’s always the time that I’ve folded and crashed out or got a terrible score. It’s happened in almost every event over the first half of the season. R: In the previous events you seemed to be struggling to get on the podium but in Germany you were leading all your heats – what changed? A: It’s a mixture of things. A small part was being unlucky in the way the rounds turn out. Then also consistency and confidence. I think the thing is that I’ve been feeling like I’m good enough to get that top spot from the start of the season, but sometimes you come up against someone quite hard at the beginning, and I think oh if I just make this one heat then I’ve got such a good shot of getting all the way to the top or getting on the podium. Maybe that was in my mind and I’ve been putting too much pressure on that one early heat. That’s always been the time that I’ve folded and crashed out or got a terrible score. It’s happened in almost every event over the first half of the season. Where if I’d just won that one heat then maybe I would have been on a path to getting either first, second or third every time. Instead I keep knocking myself out early and then having to climb back. I think it’s been less of a pressure thing but just that I really want it to happen so much that it just goes against me sometimes. I had never won in Germany and the round was tough once again, I think I may have accepted it would be another one of those events and I didn’t get my hopes to high, it was North’s home ground and just too much to ask. The conditions lined up and I was feeling good that day, I know thats what I can achieve when it all comes together. R: What do you think about the competition at the moment – the teenagers and guys just into their twenties who leading the charge. What do you see as the challenges with those guys? Yeah it’s true I’m definitely the older side of the age group now. I mean some people aren’t that much younger, and then there’s people like Liam who’s seventeen and already winning some events. I can see it from their side of things, to know what it is to be younger and what it is to come though. I know how hungry they are for it, because if they haven’t made it yet they really want to prove themselves so this gives them a real big edge to get through and win their heat. I mean I really want to do well and I’m motivated and focused, but the pressure can be off in some ways so I can play the heat a little bit, not put them off but put more pressure on them by doing stuff in-front of them or early on, you can kinda make that work. Whatever happens, because I’ve been in that position where I’ve won on the first day but also I’ve had to climb all the way up through the doubles. I’ve pretty much done every kind of simulation of a competition so I know how it feels each time. Like in Germany I was on-top of my heats all the way to first in the singles, but then it’s pretty hard to just walk in the next day when you’re super tired and your body’s aching, and you have to defend the first place. Then someone like Liam’s on a run, he knows the conditions, he’s doing really well. So, it’s important that when you go straight into the water you can keep your focus, don’t let yourself get psyched out, you just carry on with the plan and knock it on the head straight away. I guess it’s more experience, because they’ve definitely got more energy. For Liam to come up through seven heats and still put a good effort into the final, that’s real impressive. You have to be young to do that, I’ve done it when I was younger, I can still do it to a point but definitely having a lot more energy and being a little younger and fitter helps! R: It definitely seemed like a lot of people online are watching the live stream, getting really behind you. Its not like you’re the underdog, but people like the story of someone coming back, people loved it when Kelly Slater came back and started winning again. You must be pretty stoked with all the support and excitement when you did finally win in Germany? A: Yeah it is pretty cool, I have felt like that a little bit, but I never know whether it’s just because that’s what surrounds me. I’ve had a lot of people come up seeming generally pretty happy about me winning and just random people messaging me and saying well done. I guess a lot of people understand what its like to get injured or not to be able to do something you really want to be doing. When you have something like that and you know what it is to make a full come back and get right back to the top. I guess it’s quite a cool achievement and it’s pretty good. I have felt like a lot of people have been super happy about that but everybody has there fans and are surrounded by that support too. R: I think another part of it, is you defined a large part of where this style of riding has gone and you yourself have quite a distinctive style of riding. What I see is that a lot of people like watching you ride, you can see that when we were filming together in Cape Town, people do stop and hang around for a long time, even when you are practising. You were trying to get the blind judge 7 under your belt, you were crashing a lot, but people still sat and watch you try and crash over and over again because it’s still great to see. I think it’s an exciting time for the PKRA and for people to be watching because there are a real strong group of riders who are all capable of winning. So, where do you see the PKRA going? A: It’s an interesting time now, with all the rumours of the takeover and other people coming in. I think it’s gonna be pretty positive, it’s definitely happening, it’s been announced, that Virgin and also the guy, one of the investors from Zed/Best I think has got involved and they’re going to throw some money at it. From my point of view I don’t really know too much about it but it’s important for freestyle that it doesn’t change too much and that they add these different discipline, as opposed to trying to change the freestyle because it just doesn’t make sense. There was some stuff going around like it might be better if you make it go a bit higher and do some bigger tricks. I guess they want to see that risk factor, but at the end of the day everyone is trying to go as big as possible with the tricks we do and there is no point making us have to go bigger higher for the spectacle because all the tricks we do are really hard to follow and understand anyway. You might as well keep the core of freestyle moving in the direction naturally and add a big air discipline. R: It could quite easily stall the development. If you are forced to make it go higher then technically it alters the way you can do many tricks. It maybe dampens the enthusiasm of those people that want to ride in that certain way because you are limited in the way in which you can develop new tricks or try and push stuff forwards. A: Yeah, most definitely. I think all the riders would lose motivation because we’re here doing it one way and we’re trying to do the hardest thing possible and that’s what freestyle is in competitive kiteboarding. It could have gone down a different route but it hasn’t and this is what it is. It’s important to let it take it’s natural course. I think the format will probably stay pretty similar and there will be small tweaks that make the competition easier to follow and understand, I don’t know exactly but I hope it’s the structure that changes and not how we have to perform. Another part of the plan seems to include a few disciplines, which could attract more people – you’ll have big air and that will add another world champion along with racing and surfing. I don’t think this is great in one way because it fragments the sport and there are too many champions but at the same time I think four disciplines cover the whole of the sport and that’s how it’ll grow. if you’re a surfer you might be attracted to that wave riding aspect and then even if you’re a car driver or a dingy sailor, at least you can relate to that side of the slalom or the racing. Then the big air obviously brings in the general public and the young kids are coming in to do the harder stuff, and that’s what we do with the freestyle. If they do come in and make one big tour with a lot of different disciplines then, if you can focus each one in the right direction then actually it could be good. I’m quite positive about the whole thing because if I go back ten years to my first competitions, things haven’t actually changed that much on the world tour, it’s good that it’s carried on going and it’s gone through bad times with recessions and money and the sport being what it is, but I think it’s definitely time that it grew and someone aspires to making it a bigger and better. For us also, it’s quite a high risk sport with high risk injuries and though it’s not all about money, it would be nice to get greater support and funding to balance against the risk we take with our bodies. R: So what are your plans, I mean obviously you want to be world champion again.. you’d like to win another one? A: Yeah definitely, I think that would be a cool thing. I don’t know how how much longer I can compete for, its kind of unknown territory but even winning that first event is a big step for me. It’s not something I’m going to just rest on but it’s a real nice feeling to know that even though it’s just one event I’ve made it all the way right to the top, after all these years. And then obviously the next stage is to do the whole championship, which I don’t feel is beyond me at the minute. I want to do that, it’s a great thing. But it’s also more than that, I know the overall picture now is different, its a different game now, it’s tight at the top and a number of riders can win at any point. If I’m competing, I’m still getting good exposure, even if I’m not winning every single event, it’s still good to be there, to be doing well and to be seen as one of those top 4/5/6 riders fighting for that top spot. In the past I saw when I stopped competing, that the popularity and the awareness of me, Aaron Hadlow, as a rider kind of disappear a little bit and you can see dramatically that other people start to take the limelight really quick, when they start doing well. It’s something I probably wanted to get back as well – I could compete and if I do get back, do win a championship, it’s a massive story, and then I’m right back in the spotlight again. This definitely has something to do with the motivation and that’s what I’m aiming for. Well that’s the end of the part 1 but come back for the 2nd part ‘Hadlow on Equipment’ (promise it will be a little bit shorter) and some unique insight into the new North Vegas Pro and Hadlow Pro board development. 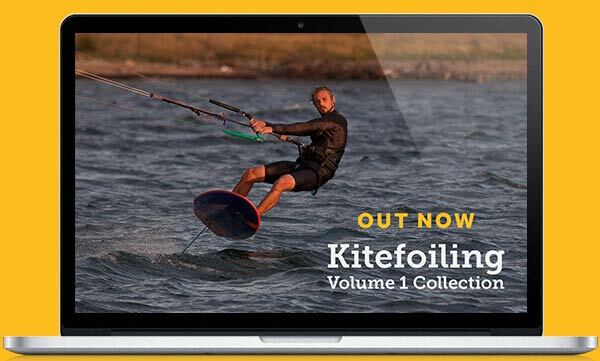 You find out more about Aaron on his website or Facebook page, or even learn to kite like Aaron through the Progression Kiteboarding Professional videos we filmed with him a while back available for purchase now. And follow the next PKRA event in Pingtan, China live from the 15th October.